A fully articulated and wearable full-harness in the German Gothic style of the late 15th century. Armour of this type is generally sleeker fitting and less rounded than Milanese armour of the same period with many parts terminating into a point, giving the armour a spiky appearance. 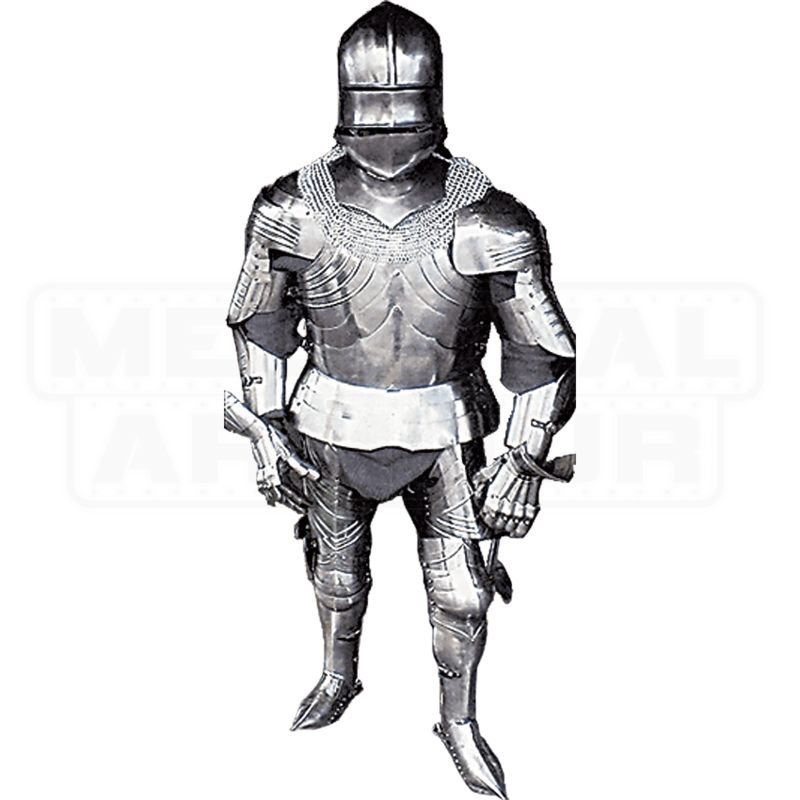 The ridged radiating patterns embossed on the breastplate, cuisses (thigh guards) and the pauldrons (shoulder guards) and the fluted gauntlets are also typical features of armour made in southern Germany during this period. The ridges and fluting are not only aesthetically pleasing but were believed to increase strength and resistance to blows without adding extra weight. 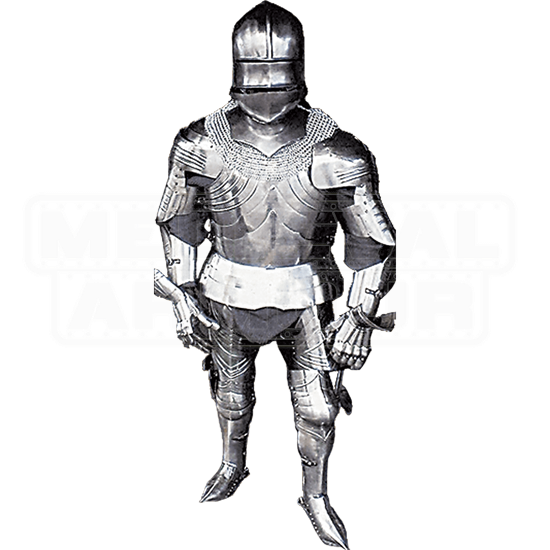 Please note that the armor is pictured with mail, but the mail is not included. The combination of a sallet helm and bevor, again typical of the Gothic style, would have provided excellent protection for the head and throat but would have limited the field of vision of the wearer.